I don’t shoo the deer away, ever. I love to just watch them: their hesitation in the front yard when a car goes by and they sense danger, their playfulness with each other, their menacing nature when another deer who isn’t part of their group comes to join them for their midnight snack. Just tonight, I saw two does at the feeder. One of them was a little taller and was tipping the feeder to spill the seed. The smaller of the two was underneath to catch what she could. At times, some of the seed was landing on the smaller one’s back, and that didn’t stop the larger one from bending down and eating off of her partner in crime. It was quite comical! It’s currently 27 degrees here in northeastern Ohio, and they have come to bed down in my yard yet again. It’s just after 5:00am and I’ve snuck out of the office a few times this evening (morning?) to watch them. There are SEVEN deer in our backyard, and they are in a line around the perimeter like sentinels. It’s beautiful. I would take a picture if I could, but I don’t wish to disturb them. And while I’ve been watching them, God brought to mind a song I learned in grade school called As the Deer. It’s based off of Psalm 42:1. For some reason, the Lord has continually placed these magnificent creatures near me. He knows my admiration for them. Tonight is not the first time I’ve been super close to them (though now at home, there is glass between us). A few years ago, when God was calling me back to Him, He sent me a deer in the woods of Pennsylvania. It was a gorgeous moment, one I’ve written about previously. You can read about it here. This early morning, as I sit in the dark, watching these precious animals, I am reminded how my soul indeed longs just for the Lord. Most recently, our church has gone through corporate fasting. Learning that practice has opened my eyes to a longing inside of me that I had pressed down. Taking time out of my day to read God’s Word and to get to know Him deeper than I’ve ever thought possible has become a reality. My days have changed. My heart has become so full, my emotions have been restored, and my duty to my relationships is paramount. I will write more in depth on that later. For now, I’m focusing on putting my focus on God. As believers, it is so easy to get caught up in the mundane and the everyday to-do list. Is that really what the Lord requires? Our setting of tasks and distractions from Him? Our heartache when we can’t measure up, or our feelings of failure when we can’t “do it all”? Dear one, I am writing to you. You were made for so much more. You were made to be loved and to love in return. You were made to seek Your heavenly Father and find Him where He promised. You were meant to live a life of fullness, Jesus promises us that!! It is attainable. So why do we keep chasing someone else’s dream, or someone else’s plan for our lives? 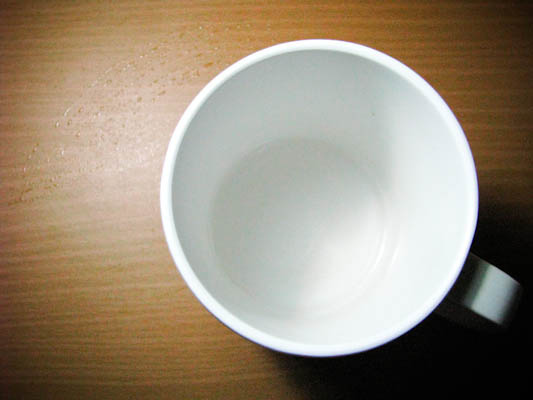 Why do we not go to the Lord when our cup is empty? I believe the enemy wants us to miss the opportunities for stopping for a drink of water by the brook. I think life just wants to throw itself at us and trip us up, so we can curse God and blame Him for everything that is going wrong. And yet, spending time with Him each day, I’m realizing that is exactly what is happening. And we are responsible for how we respond. So, my friend, may I invite you to grab your cup, and stop by the brook to get a drink of the Living Water? Take a rest, and absorb what this verse means. We are meant to thirst for our Lord. He fills us in a way that this world, our careers, our paychecks, our agendas, our material possessions, our relationships, and our desires never can. 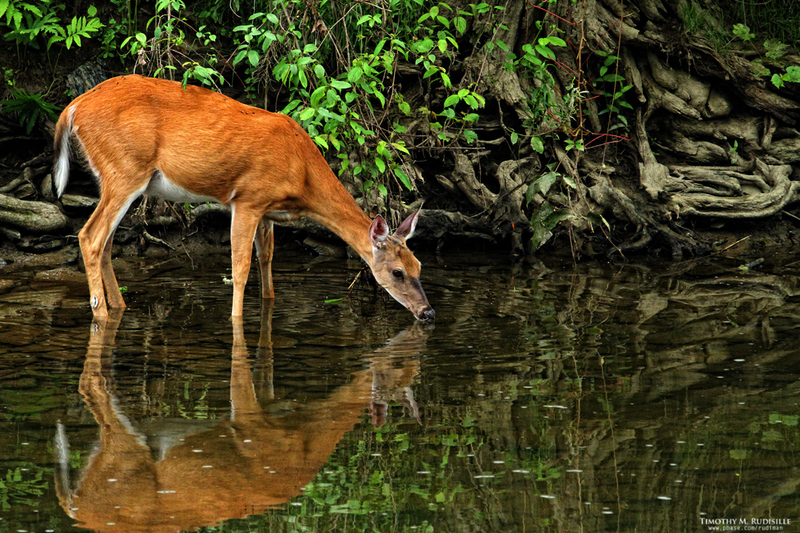 We are like the deer, longing for the Lord, and if we’re not, we need to learn from our furry friends. Stop and rest, be in His presence, and you will find long-lasting refreshment. This is beautiful, Grace. Last night I was the only one at the day center when I returned the van. A deer was grazing in the yard. She moved in front of the building; I stood just a few feet away, like you separated by glass. She didn’t know I was there. We watched traffic go by together for several minutes before she darted away. God provides calm moments in a rush-rush world. Thanks for the reminder.